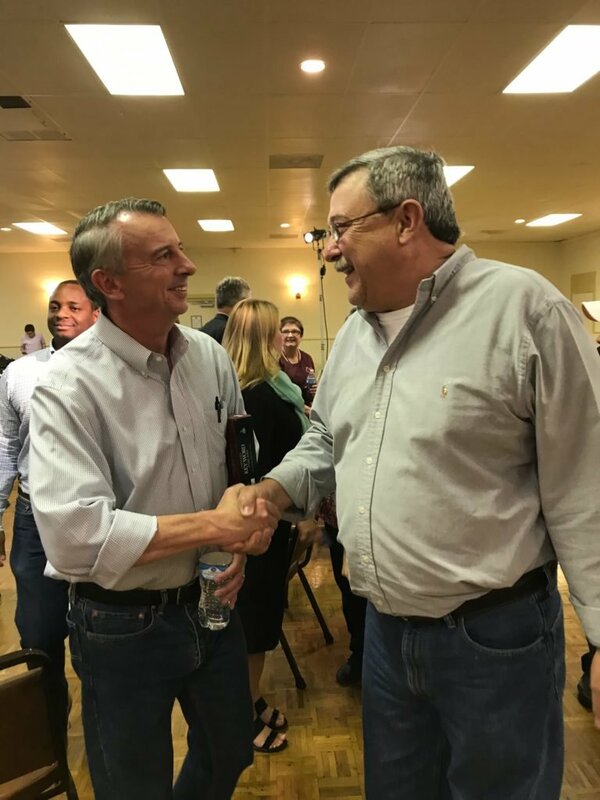 RICHMOND, VA –Earlier this week, the Latino Victory Fund launched a despicable ad attacking Ed Gillespie and all Virginians. Lieutenant Governor Northam has denied coordinating with the group on the ad, but a news report this evening shows that Northam has received an in-kind donation of $62,000 from Latino Victory PAC. TOM FITZGERALD: Well good evening, you know the Northam campaign has been loud in denouncing this ad and saying they had nothing to do with it, but it turns out now, a political watchdog group has uncovered finance records filed with the Virginia election board that shows a financial connection between the Northam campaign and the Latino Victory Fund. Here it is. This is the filing that was made on the Virginia site. It lists Northam for Governor – Latino Victory Fund for media, in the amount of $62,000. Now why is this important? Well, Phil Kerpen, who runs the American Commitment Program, which uncovered this, says it raises a lot of questions about whether or not the Northam campaign has been fully at risk to talk about what they know about this ad. 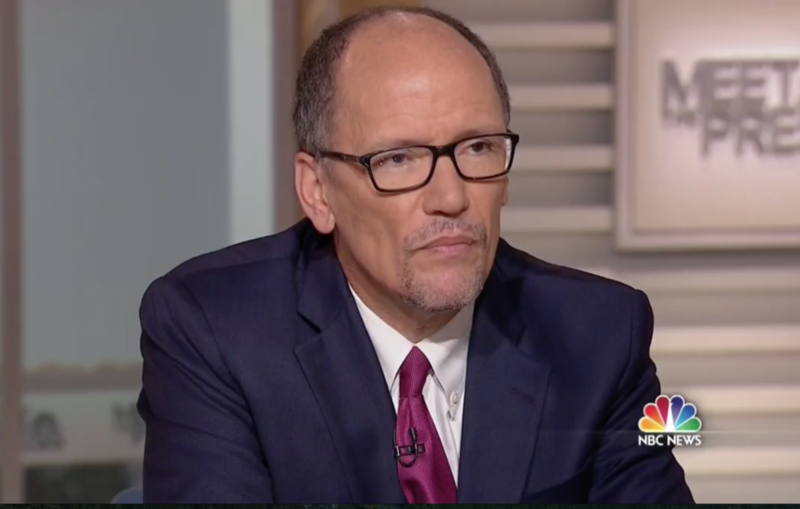 He says this is an indication that there is a financial link between the Latino Victory Fund and the Northam campaign. PHIL KERPEN: Well it’s pretty remarkable, because at the same time Ralph Northam was going out on TV saying I would never have run this ad, I had nothing to do with it, his campaign was filing an official legal document with the State Board of Elections indicating that the ad constituted an in-kind contribution to his campaign, which means by law that it was a coordinated communication. It was not an independent expenditure. TOM FITZGERALD: Now we should tell you that Fox 5 again reached out to the Northam campaign about this. They wouldn’t make Ralph Northam or anyone else in the campaign available to us today to talk about this. They did respond to some questions from email today. They said they did not authorize this ad. They say they did not see it before it went viral. However, what about these filings? Well the campaign explains that groups which work in kind with the campaign for things like door to door canvassing or data have to make these kinds of filings; however, you talk to the group American Commitment, that first uncovered this, and they’ll say that explanation just doesn’t hold water. The reasoning is right there on the filing. It says media. It does not say data or canvassing. PHIL KERPEN: I think it just shows the remarkable level of mendacity. I think what happened here is Ralph Northam wanted to have a totally over-the-top, outrageous attack on his opponent, but he wanted to be able to deny it after the fact. 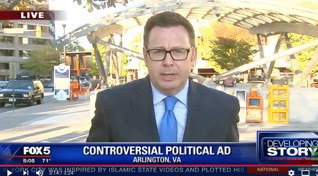 TOM FITZGERALD: Well as you know, Fox 5 spoke with Ed Gillespie about this ad this week. He said it was despicable and makes his supporters look like murderers and racists. Ralph Northam himself will be in Northern Virginia tonight. He’s got a scheduled event later tonight in Alexandria, Virginia.